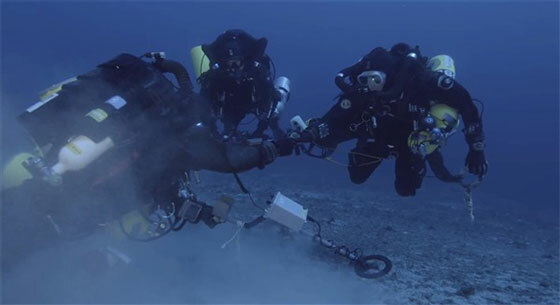 A team of international archaeologists including Brendan Foley of the Woods Hole Oceanographic Institution and Theotokis Theodoulou of the Hellenic Ephorate of Underwater Antiquities have returned to the treacherous site. During their first excavation season, from September 15 to October 7, 2014, the researchers have created a high-resolution, 3D map of the site using stereo cameras mounted on an autonomous underwater vehicle (AUV). 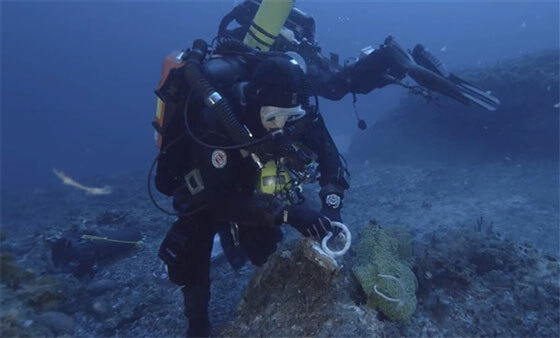 Divers then recovered a series of finds which prove that much of the ship's cargo is indeed still preserved beneath the sediment. "The evidence shows this is the largest ancient shipwreck ever discovered," says Brendan Foley. "It's the Titanic of the ancient world." 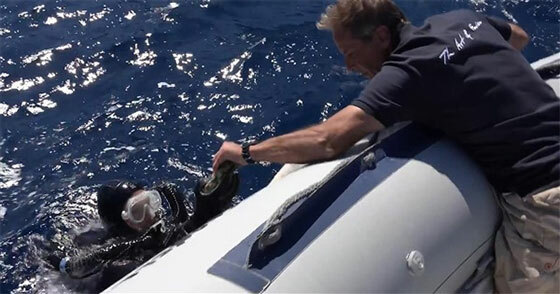 The archaeologists plan to return next year to excavate the site further and recover more of the ship's precious cargo. 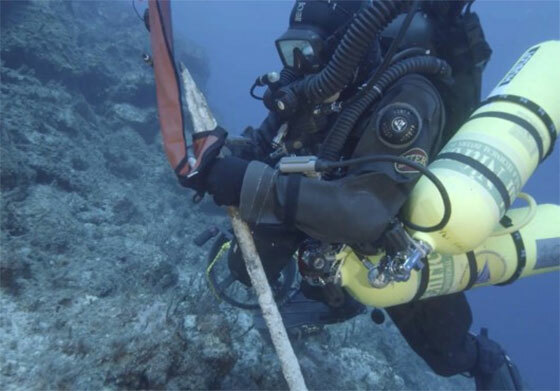 "The finds, particularly the bronze spear, are very promising," says Theotokis Theodolou. "We have a lot of work to do at this site to uncover its secrets."